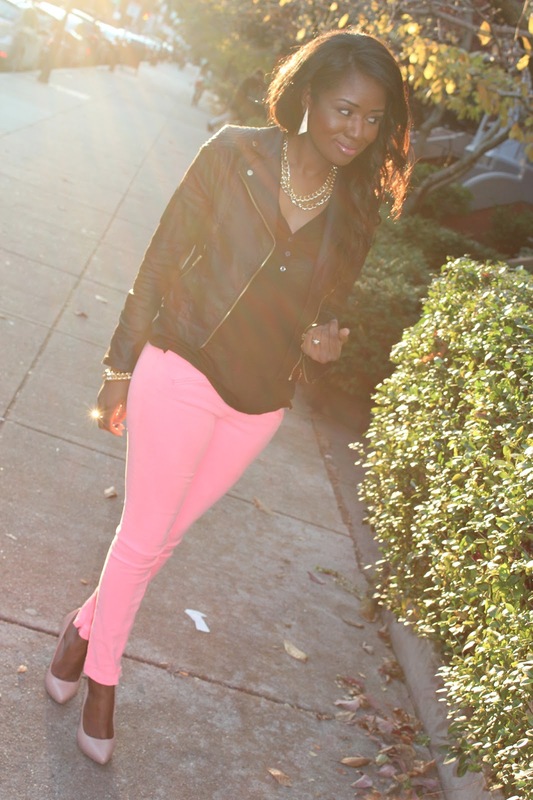 Valentine’s Day is around the corner, and what better way to get all soft and pink than in soft and pink pants! 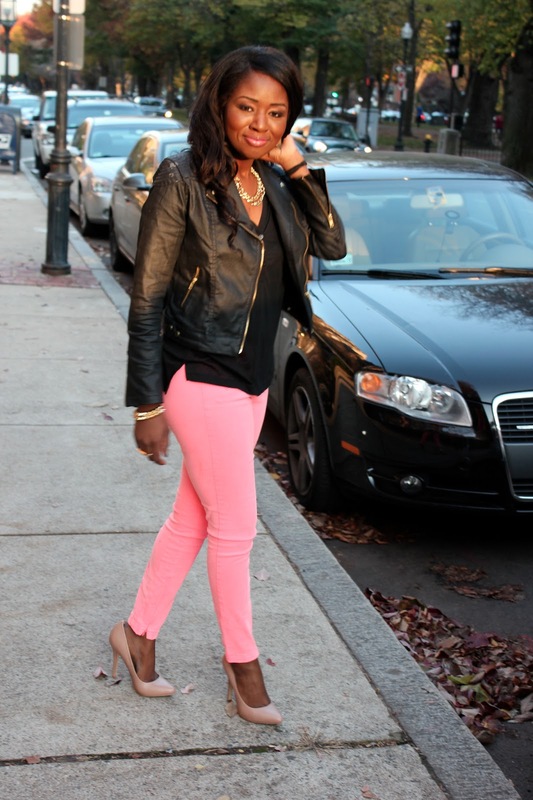 I was out and about one day in Boston a few months back and was able to have my husband snap some shots of me in my favorite pants in the whole wide world. Yup, these beauties ran me about $20 during a massive fall sale at the gap in October. The Gap isn’t one of my frequent shopping spots, but when they have a sale, they have a S.A.L.E., okay??! Plus, it always feels great to get quality clothes on the chizeap! Oh, and they are SUPER stretchy. Great for me because my bootiful proportions have a habit of expanding without warning. I swear, even hair can be fashionable in good lighting! Super cute look! Love those pants and that color! Those jeans! 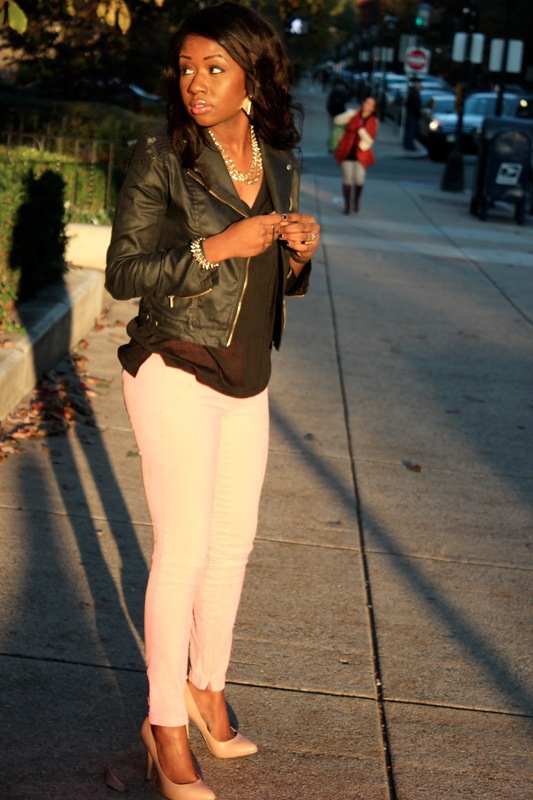 They are the perfect pink shade and so match those shoes =) Great leather jacket as well! Thank u!! the jacket is actually denim…go figure! Lisa, you look so adorable! 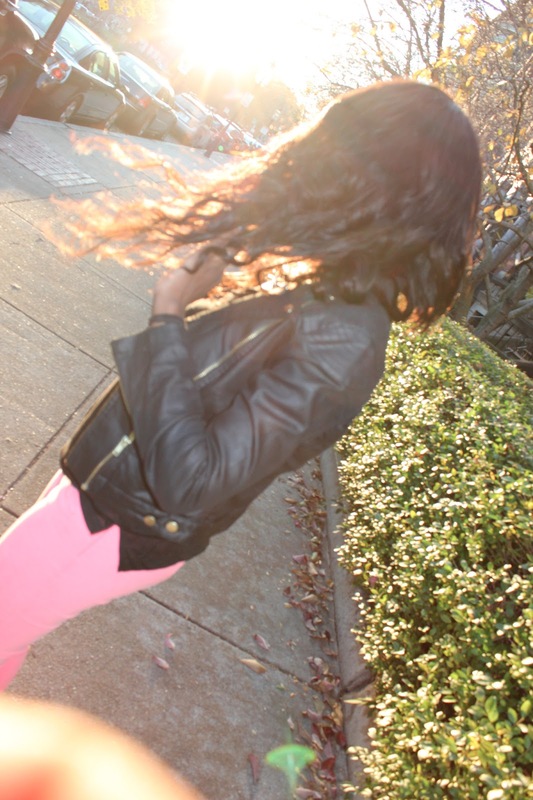 I like combo of light pink pants and leather jacket! Thank u!!! I love love love these pants! love the look lisa. i bought me some peach colored jeans and can’t wait to wear it.